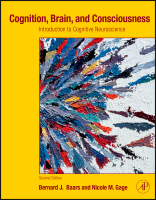 This website serves as a companion to 'Cognition, Brain, and Consciousness: Introduction to Cognitive Neuroscience' by Bernard J. Baars and Nicole M. Gage. It hosts a collection of images from the book as well as a glossary. Click on the links below to download a zip file of images from each chapter of the book.